Do zippers intimidate you when sewing? I've sewn them with success, but I still get nervous. This is a zip pouch that is completely the opposite of scary. The zipper is stitched in by hand, so it's practically an extension of the embroidery on the front! 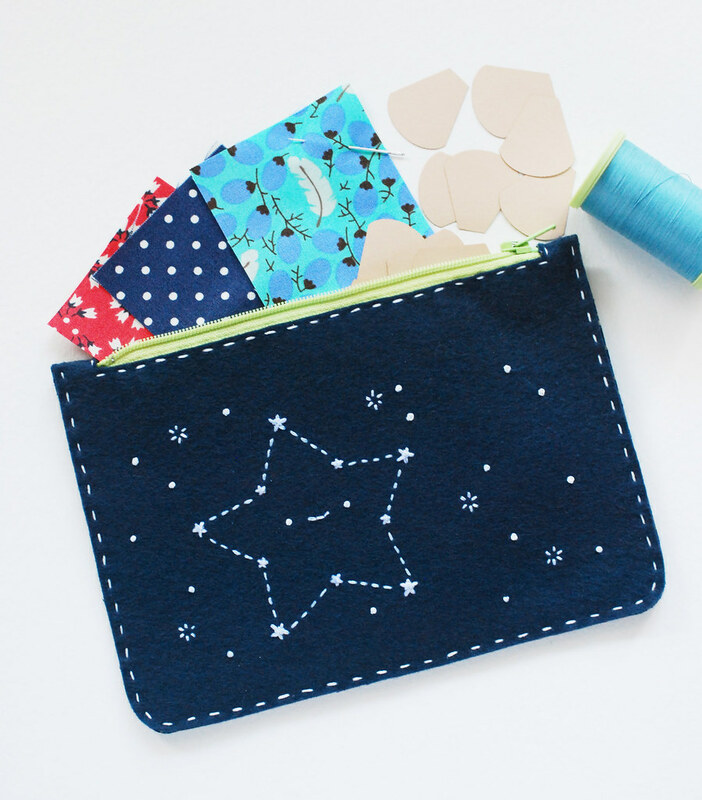 I saw a pouch similar to this once, but it required buying die-cutting templates to cut the pouch. 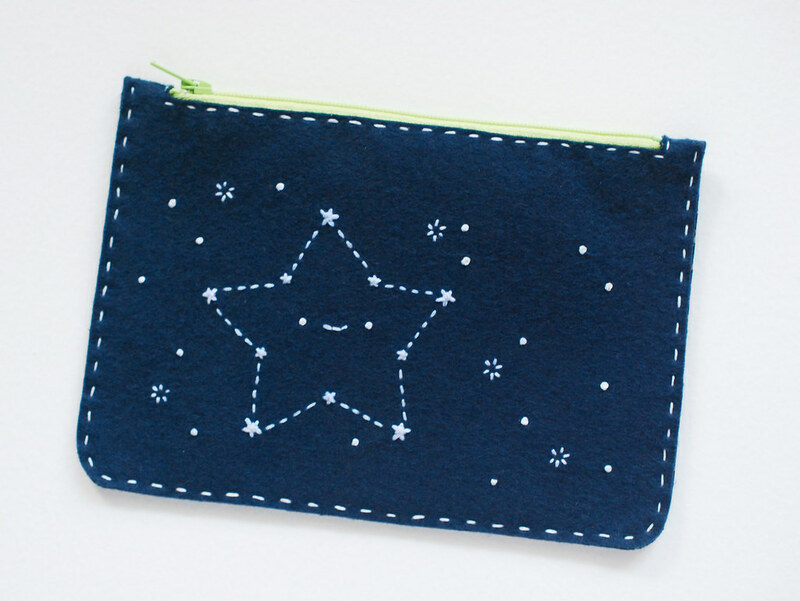 This is something you can embroider with a starscape or your own favorite design...then cut it out and stitch it up. Easy peasy! Note: Be sure to print the pattern at 100% so that the zipper will fit the opening. Measure the 1-inch test square to check for accuracy. 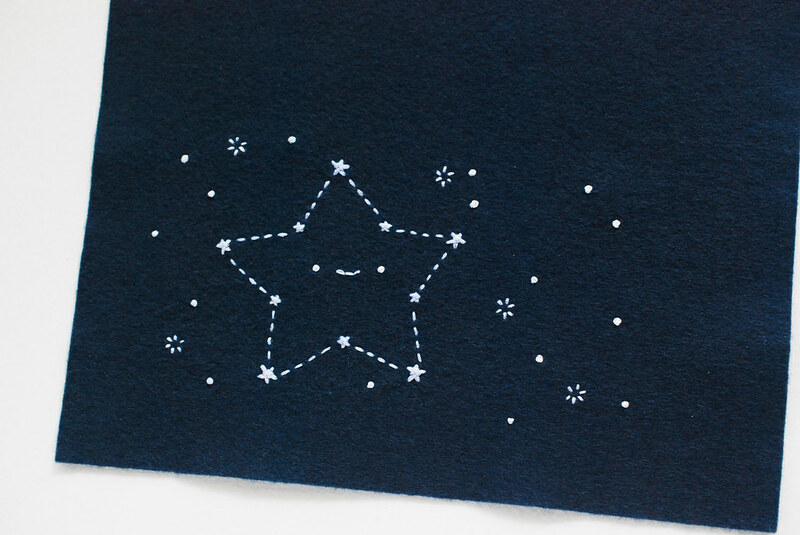 Print or trace the starry embroidery design onto Fabri-Solvy or tissue paper, then attach it to the felt so you can stitch through it. 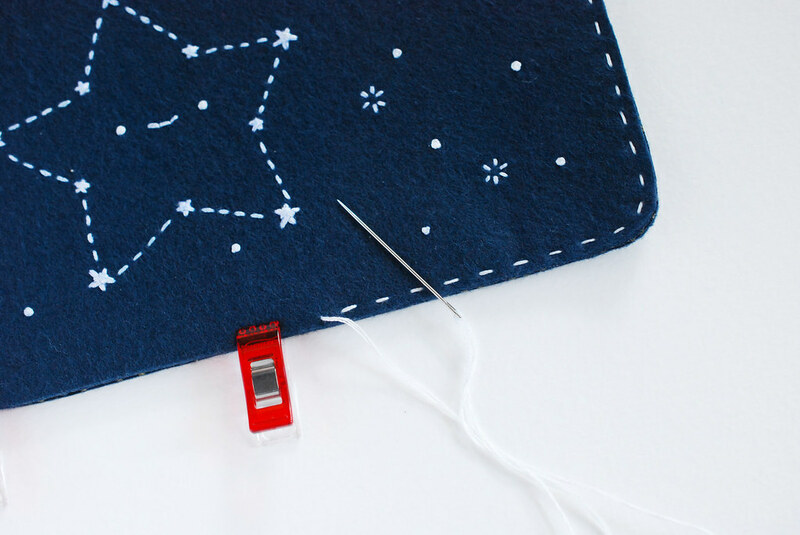 Embroider the stars and constellation with three strands of embroidery floss. 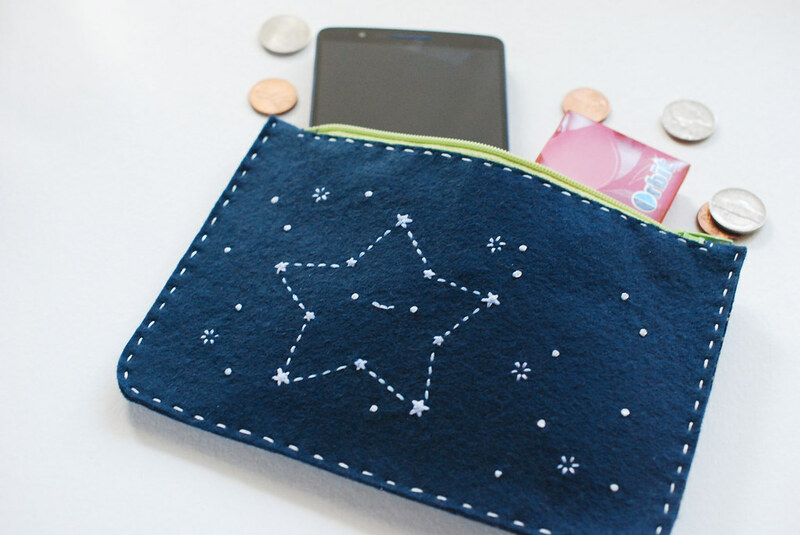 I used french knots, straight stitches, running stitch, and the star stitch featured in this tutorial from Hands Occupied. Soak away the Fabri-Solvy or tear away the tissue paper. If you're soaking it, remember that wool and wool blend felt will shrink in hot water. I used barely warm water and mine still shrunk just a bit. Blasting it with cool water was a better option. 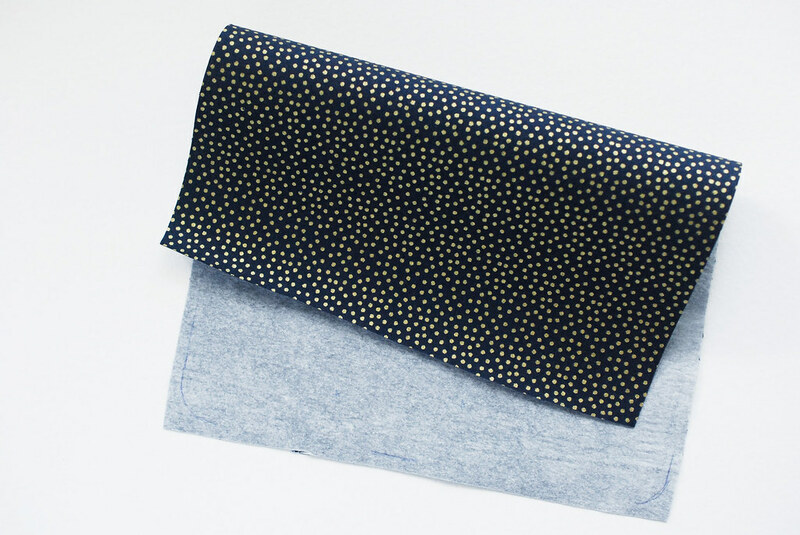 Iron the fusible interfacing to the cotton fabric that will be your lining. Then iron it to the back of your embroidered felt. I like using paper-backed fusible interfacing, so that's what you see here. If yours doesn't have a paper back, you'll iron it to both pieces in one step. 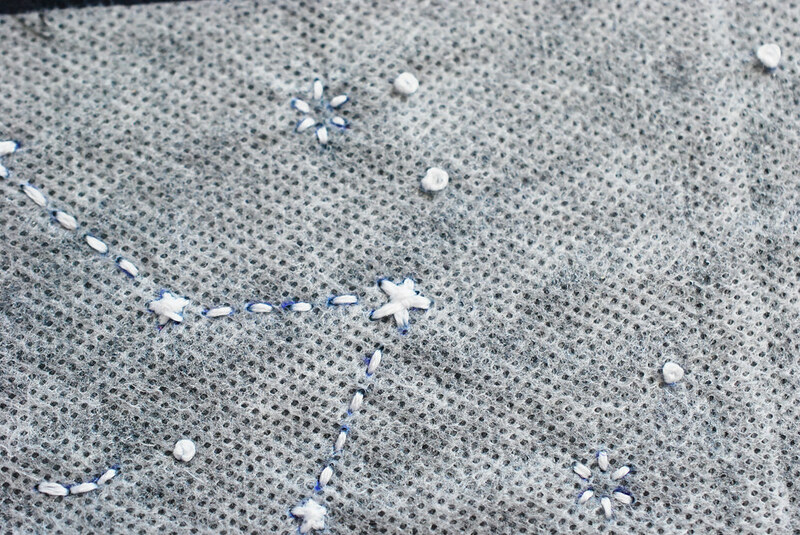 Adding the "lining" will cover and protect the back of your stitching, which will keep it pretty longer. 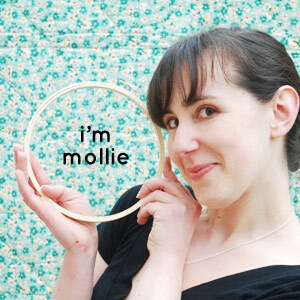 Cut out the paper pattern, pin it to the embroidered felt, then cut out the shape. 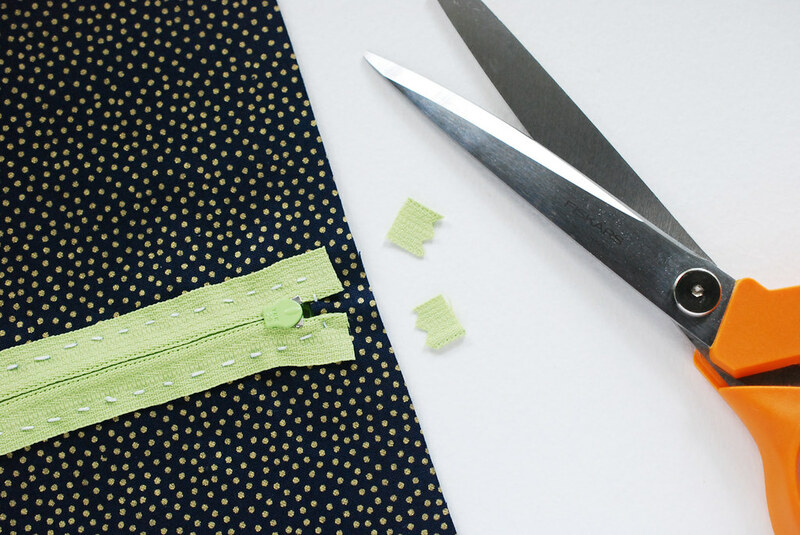 Pin the zipper into the cut out opening. 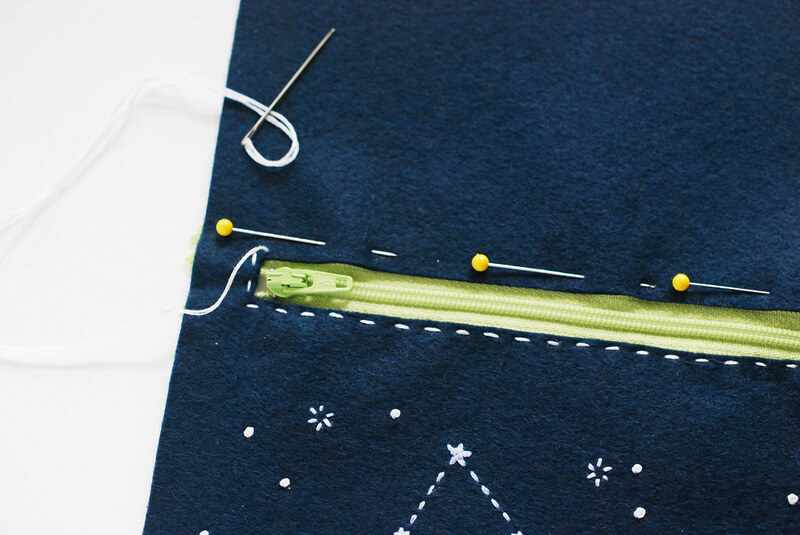 Stitch around the zipper with running stitch. Take care to get a stitch or two into each side of the ends. 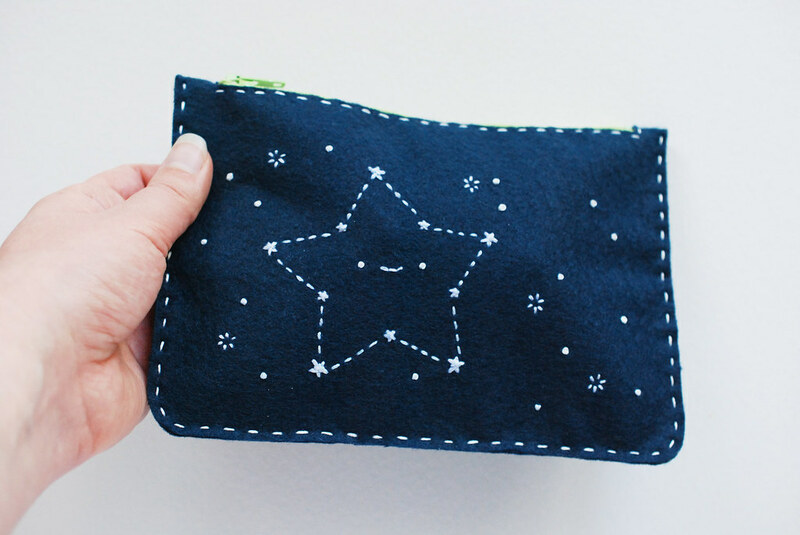 If hand sewing isn't your thing, you can do this part with a sewing machine. 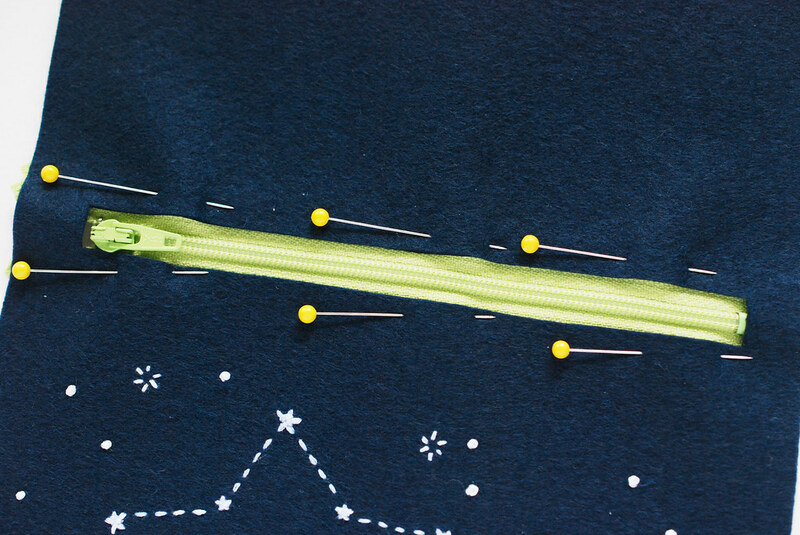 If you use matching thread for sewing, you can go back and add some hand stitched details just for cuteness' sake. Trim the zipper ends so they are at least 1/4 inch in from the edges. 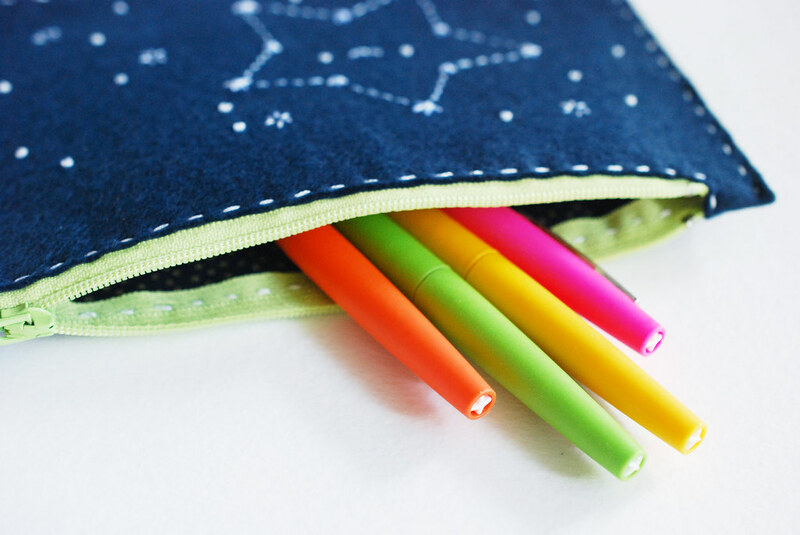 Fold the pouch in half and pin or clip the edges so they are aligned. 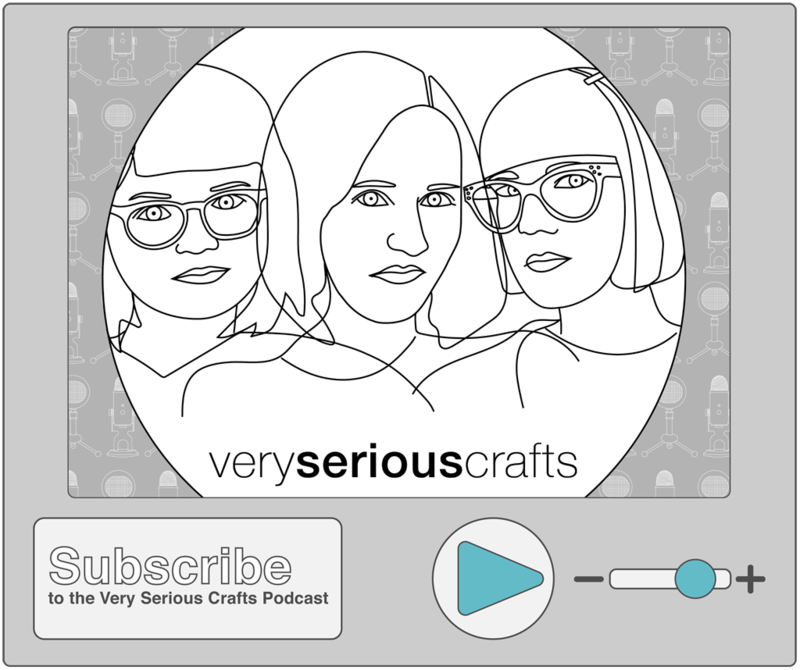 Stitch around the edge with running stitch. 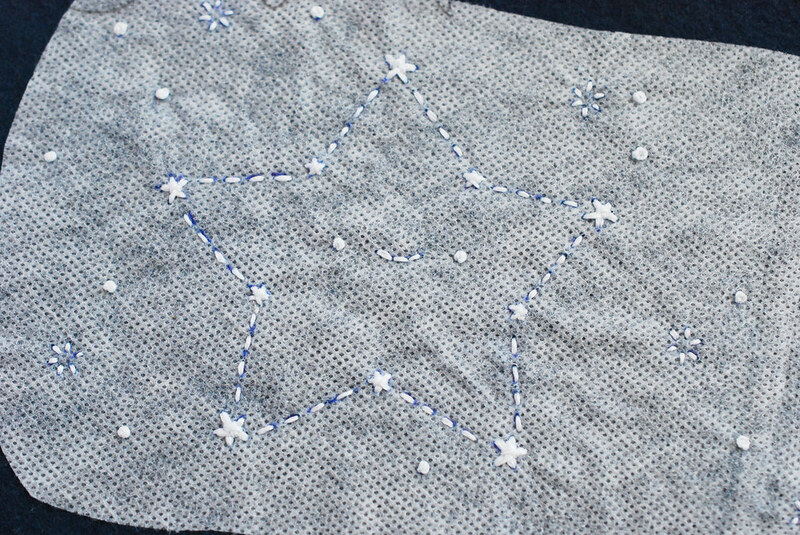 Again, you can do this on a sewing machine if you'd prefer. 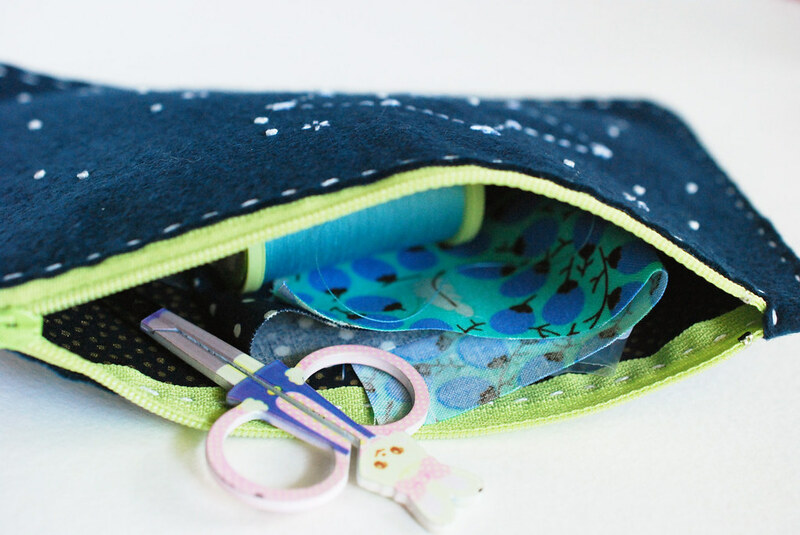 Check that everything is secure and that your knots are hidden between the layers, and your pouch is finished! 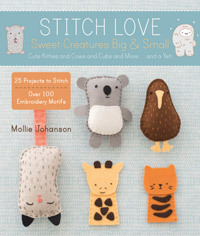 ...or even some stitching supplies! 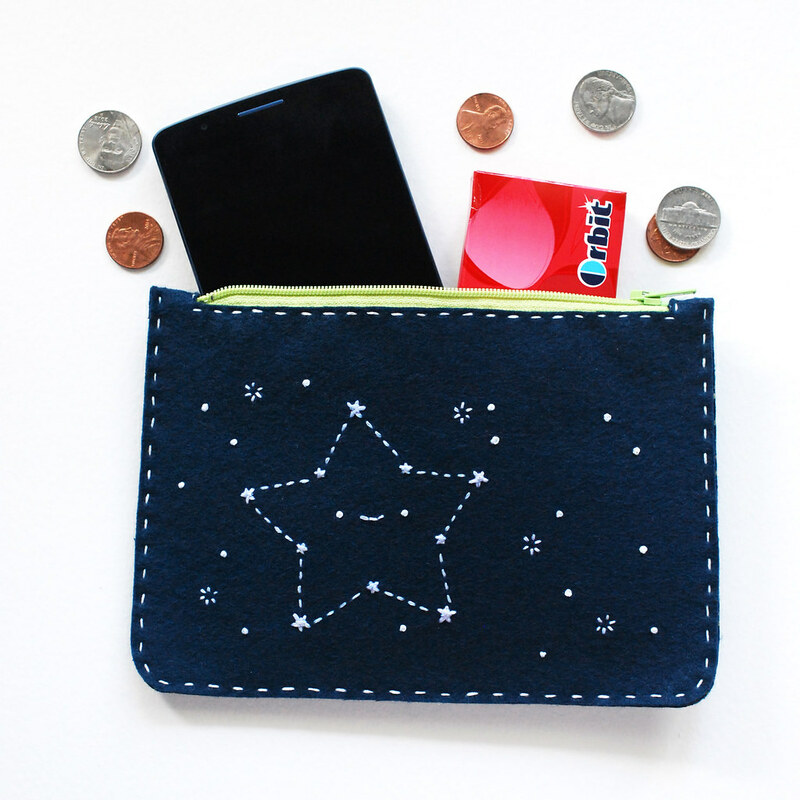 Of course, necessities like a phone, keys, and cash are always good for a little pouch. 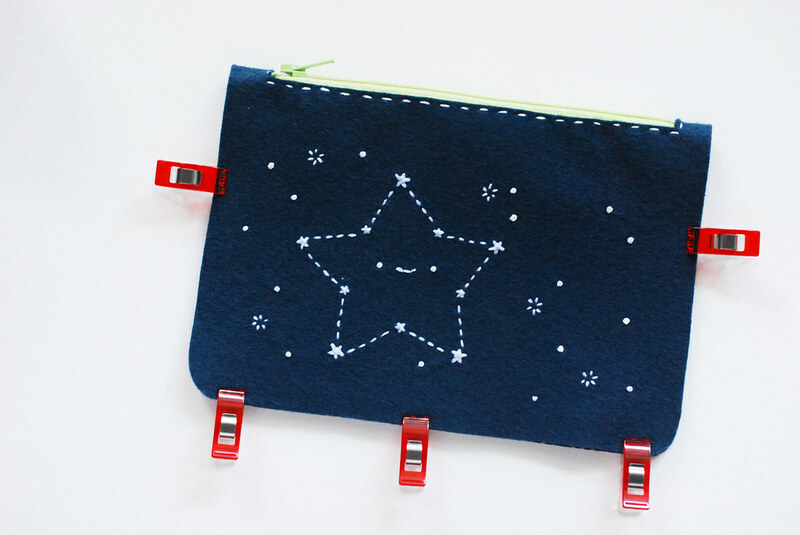 Stitch one or stitch a bunch...use the star patterns or your favorite embroidery motif. 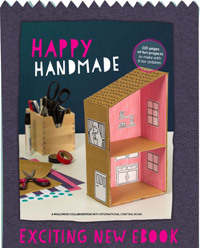 You could make yours plain or add some felt applique. You could even reverse the pouch so that the felt is on the inside and the fabric is on the outside. 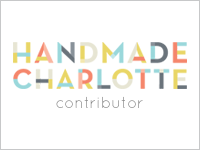 So many ways to customize! What will you keep in your pouch? This is adorable! I love the constellation design--and the construction. This design is so cute! 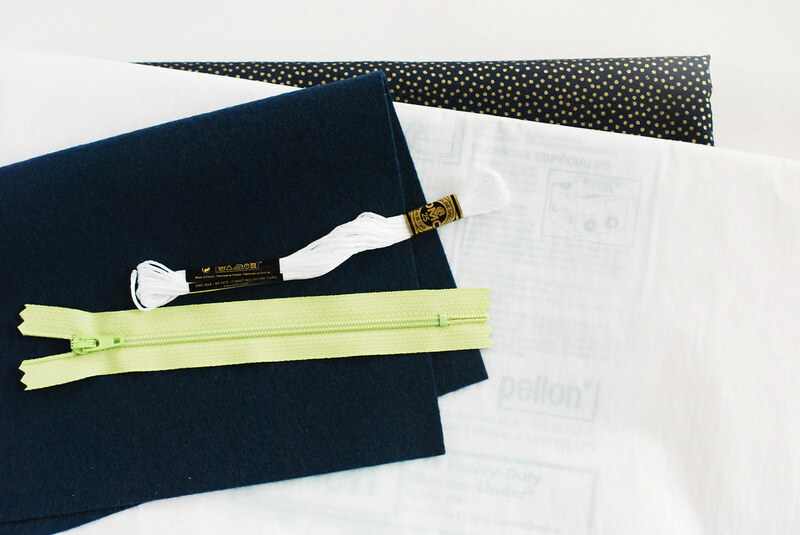 I've been wanting to learn how to sew pouches, but the zippers have intimidated me. The instructions here are so clear, I feel much more confident about trying it. 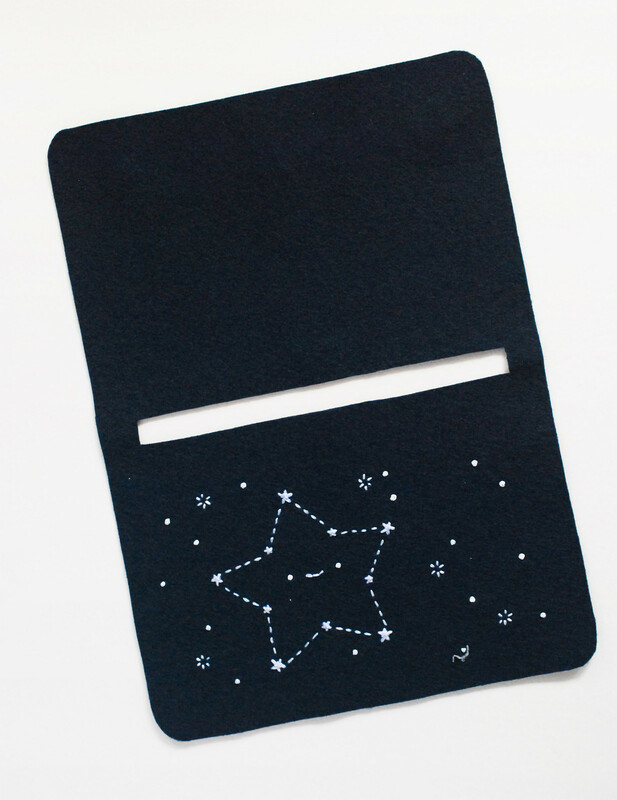 Perfect to help celebrate the upcoming meteor showers in a few weeks! This would be a great pouch for hexagon tinies.